Participants turned their passions into fundraisers to support Alzheimer’s care and research. Over 240 teams from our chapter participated in The Longest Day in 2018. Coffee roasting, dancing, crafts, hiking and bridge were just a few of the activities. Participants in our chapter have raised over $332,000. 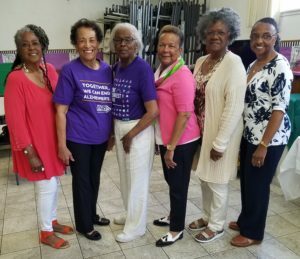 “It’s inspiring to witness how so many of the fundraisers throughout our chapter honored those who have been impacted by Alzheimer’s and other cognitive impairments,” said Steven. We put together a slideshow with some of the photos from The Longest Day events. 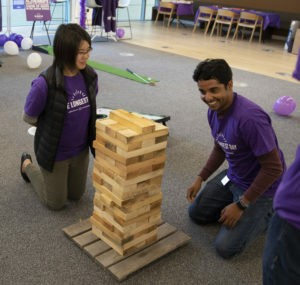 Many companies got involved, either by forming a team or by donating a portion of their proceeds to the Alzheimer’s Association. BJ’s Restaurant and Brewhouse locations throughout the country and The Fish Market restaurants across California both participated, as did many other individual businesses. Forty-six of our participating teams were part of global teams for The Longest Day. Alpha Delta Kappa Sorority, Alpha Kappa Alpha Sorority, Inc., American Contract Bridge League, Arthur Murray Dance Studios, Barre Code, and Hemmings Motorsports groups participated in our region. Local and state governments also got into the act. Assemblyman Brian Maienschein authored Assembly Concurrent Resolution 239, recognizing June as Alzheimer’s & Brain Awareness Month and June 21st as The Longest Day. During the presentation, several other Assemblymembers shared their personal stories and commitments to take action. City councils and boards of supervisors also created proclamations. The California Department of Consumer Affairs shared information on their website. Not all events happened on June 21. Some occurred earlier in the year and some are still taking place. Anne Burris hiked through Scotland, to honor her mother. What activity do you enjoy? We can help you turn it into a fundraiser for Alzheimer’s research, care and support. Sign up for The Longest Day by February 28 and get an upgraded t-shirt.